With the annual passing of Groundhog Day, our thoughts wander to the vibrant reawakening of nature. In just a few short weeks, the Winter snowfalls will have subsided and new photographic opportunities will arrive alongside spring’s warming vitality. No longer will be the days of heavy coats and wool socks but of the freedom of a sundress and the comfort of short sleeves. 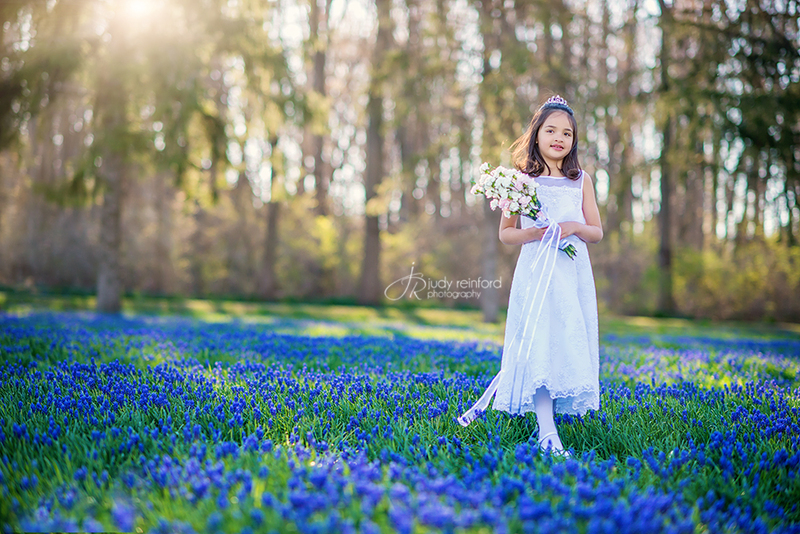 Spring in the Lehigh Valley offers dozens of sublime locations and natural backdrops to capture marvelous family moments and individual portraiture. One such locale resides in the charming borough of Alburtis. April sessions in the famous flowers. Nestled in Alburtis’ 59-acre Lock Ridge Park—a personal favorite spot of mine to photograph at—are the stonework ruins of a Lock Ridge Iron Company furnace, Swabia Creek, and, of course, the spring-blossoming Bluebells. 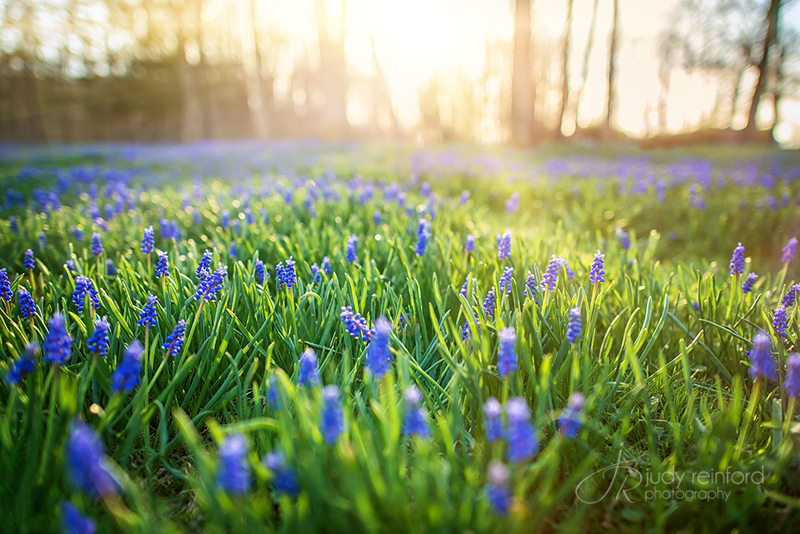 The field of perennial Muscari, better known as Bluebells or Grape Hyacinth were originally tended by Mr. and Mrs. Norman Matz decades ago and have since become a favored sight for Lehigh Valley locals. Family portraits in the bluebells. The latent bulbs’ sprout during mid-spring with a grass-like foliage that absorbs essential energy for the plants to blossom. The resulting cobalt blue flowers reach a height of about 6 to 10 inches and bloom for only a short time (2-3 weeks), but the thousands that flower all at once create an unforgettable spring-time image. Although their foliage persists for several weeks after the Bluebells decompose, it is perhaps the temporary nature of the blue flowers that make this field such a precious spot for spring photography. We include the entire family. The peculiar temperatures in late-February 2017 likely contributed to the Bluebells’ failure to bloom last year, but it is hoped the grape-like blossoms will once again dazzle Alburtis this spring and heighten the already beautiful trails and backdrops of Lock Ridge Park. Considering a spring session? Contact me for more information.